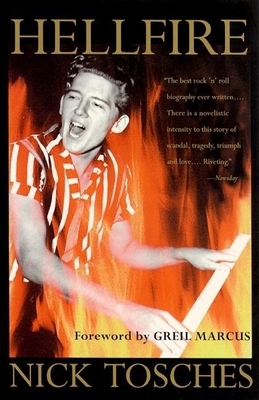 The life of Jerry Lee Lewis is one of the most dramatic and tormented in rock 'n' roll history. Hellfire is a wild, riveting, and beautifully written biography that received universal acclaim on its original publication and remains one of the most remarkable biographies ever written. Born in Louisiana to a family legacy of great courage and greater wildness, Jerry Lee was torn throughout his life between a demanding Pentecostal God and the Devil of alcohol, drugs, and the boogie-woogie piano. At fourteen he began performing publicly, and at twenty-two he recorded "Whole Lotta Shakin' Goin' On," which propelled him to stardom. But almost immediately, news of his marriage to his thirteen-year-old cousin nearly destroyed his career. Over the next twenty years, Jerry Lee would rise again as a country star, and lose it all to his addictions to alcohol, drugs, and his own fame. Hellfire is an audacious, artful look directly into the soul of a rock 'n' roll legend.